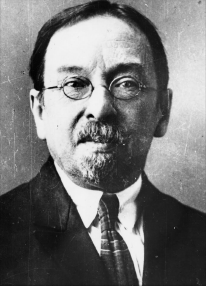 In April 1914, during his “Cognition and Thinking” lecture, Aleksandr Nikolaevich Shchukarev, the Professor of Chemistry at the Kharkiv Technological Institute (KTI), demonstrated the “Logical thinking machine”, a device able to mechanically make simple logical conclusions based on input assumptions. Scientists at that time believed no machine was able to think logically by definition, hence Shchukarev’s demonstration sparked heated debates. Logical machines first appeared in the 13th century with Raymond Llull’s book “Ars Magna” (“Great Art”), but it was the end of the 19th century when they were at their peak, with two mechanical creations from the Englishman William Stanley Jevons and the American Allan Marquand. Soon after, two more logical machines were built in Kharkiv (now Ukraine) by P.D. Khrushchev and A.N. 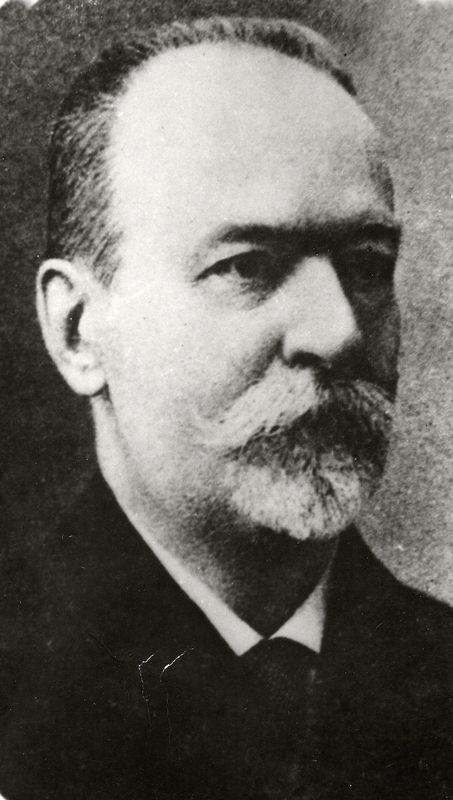 Shchukarev. Some scientists consider logical machines a dead end in computer development yet they were extremely significant in the development of computer science; they made modern computers possible. The story of “Shchukarev’s Machine” began in 1911. At that time, the scientist was already famous for his discoveries in thermochemistry and was working at the Higher Geology College in Yekaterinoslav (now Dnepropetrovsk). He was later invited to teach at the Department of General and Inorganic Chemistry atthe Kharkiv Technological Institute. For Shchukarev, moving to Kharkiv was an involuntary step. He did it primarily for his children, who wanted to study at good Higher Education establishments, which Yekaterinoslav lacked. Kharkiv, on the other hand, was reknowned for its universities. In Kharkiv, Shchukerev taught at the Department of General Chemistry , where hetaught Inorganic Chemistry and a “small course” on physical chemistry. At the same time, he continued his research work. His “Logical thinking machine” might not have come about without a series of lucky coincidences. Shortly before Shchukarev’s arrival, there was another professor at the KTI who was also interested in the issues of logical thinking and methodology of science, Pavel Dmitrievich Khrushchev. 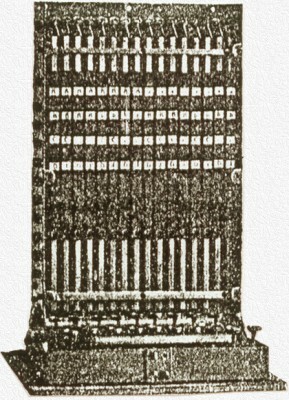 At the beginning of the 20th century, Khrushchev managed to reproduce the so-called “logic piano” based on the ideas of William Stanley Jevons, an English mathematician. Jevons originally invented the “piano” as a study aid for a logics course. 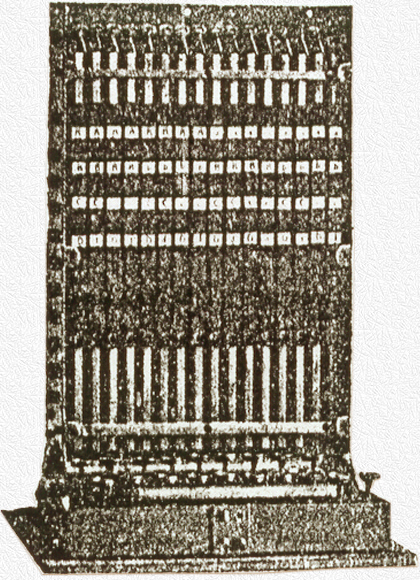 When Shchukarev came to Kharkiv, he inherited Khrushchev’s machine, the very same “logic piano”. Unlike Jevons or Khrushchev, Shchukarev saw the device not only as a study aid, but as a piece of technology for mechanizing formalizable viewpoints. Shchukarev spent a lot of time on Jevons’ idea alongside his work as a professor; making improvements to the “logic piano” soon became his new hobby. The scientist made a number of modifications to the “piano”, including a light screen with an output system that could be considered a prototype for modern display devices. He wrote about his project, “I have attempted to build a slightly modified unit, which would improve on Jevons’ model. None of these modifications were fundamental to the structure, however. I just made the instrument somewhat smaller, built it out of metal, and removed some of the design flaws, which are plentiful in Jevons’ device. The addition of a light screen was a subsequent goal, to output the results of “thinking” in simple phrases rather than Jevons’ special letter code”. 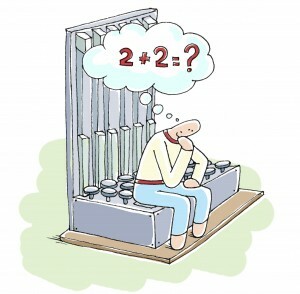 Thanks to Shchukarev, the “Logical thinking machine” got a second chance, and in 1912 he introduced it at a physics and chemistry society meeting at the KTI. After that, Shchukarev demonstrated his machine not only in Kharkiv, but also in other southern cities of the Russian Empire. In April 1914, he brought his improved “Logical thinking machine” to Moscow Polytechnical Museum as a part of his lecture named “Cognition and Thinking”. The machine looked like a 40x25x25cm box . Inside it had 16 rods which could be controlled using buttons on the input panel. The buttons activated the rods, and the rods in turn activated the light screen, which showed the final result of the logical assumptions. ● something that is not silver, a metal or a conductor (for example, sulfur) does not have free electrons and cannot conduct electricity. On Saturday, April 19, at the big auditorium of the Polytechnical Museum, Professor A.N. Shchukarev will give a public lecture on the topic of “Cognition and thinking”. The lecture will include the demonstration of a thinking machine, a device that can reproduce mechanically the human thought process, i.e. to deduce conclusions based on given assumptions. The machine was first built by the mathematician Jevons and improved by the author of the lecture. The machine shows its results in plain word form. The emergence of Shchukarev’s “Logical thinking machine” created a split in the scientific world. Some thought it to be a major scientific breakthrough, others – a deception, because logical thinking is (so they thought) impossible to mechanize. Unfortunately, Orlov’s stance became predominant in the scientific world, and Shchukarev’s “Logical thinking machine” was consigned to oblivion, and his conclusions were considered unscientific and not worthy of note. It took 36 years for this issue to re-emerge, when the great English mathematician Alan Turing published his sensational work “Can a machine think?”. The fate of the “thinking machine” itself is unknown. 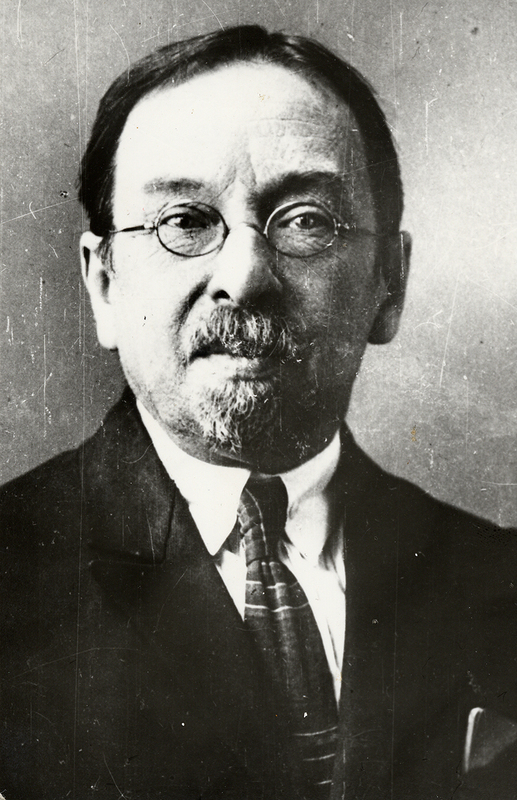 Shchukarev gave it to the Mathematics department at KTI, but it was lost in the fires of World War I and the Civil War. Until recently, Professor A.N. Shchukarev was known only as a talented chemist and one of the founders of thermochemistry, whose calculation methods and devices are being used even today. Now, his name also appears in books on IT history, as the creator of one of the first electric logic machines with an output system, that later became a prototype for modern display devices.